Low-slung, lightweight, and nimble, the Harley-Davidson SuperLow® is a great choice for beginners and seasoned riders alike. A standout in the Harley-Davidson Sportster® lineup, this versatile bike should meet the demands of a great many riders throughout the Los Angles and Inland Empire, CA area. 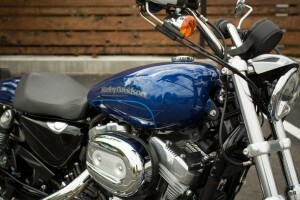 Find out more about the latest SuperLow® now available at Riverside Harley-Davidson. At the heart of the SuperLow® is a spirited, air-cooled V-Twin Evolution® engine. First introduced in 1984, the Evolution® now offers 883cc model displacement that delivers all the torque and acceleration you need when you’re tooling around town or opening up the throttle out on the highway. Classic H-D Styling – The V-Twin Evolution® engine exudes pure Harley-Davidson style. 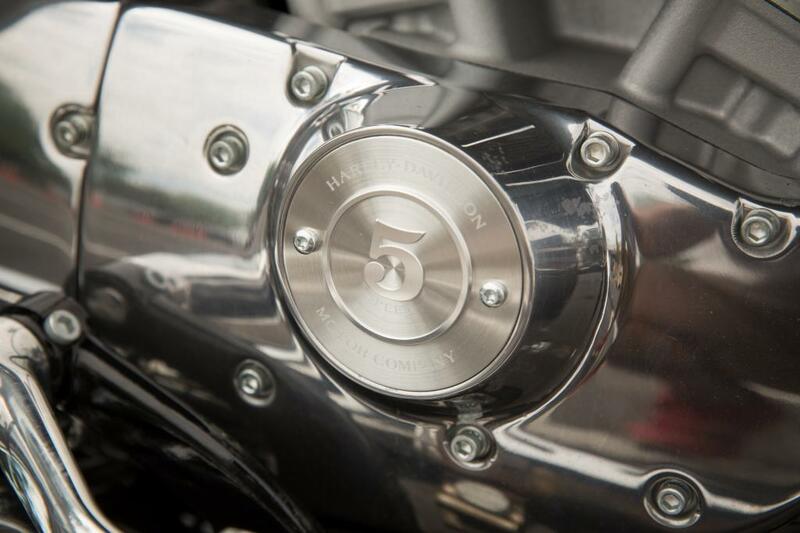 From the silver powder-coated heads and cylinders, to the edge of the cooling fins, the superior engineering and attention to detail is unmistakable. 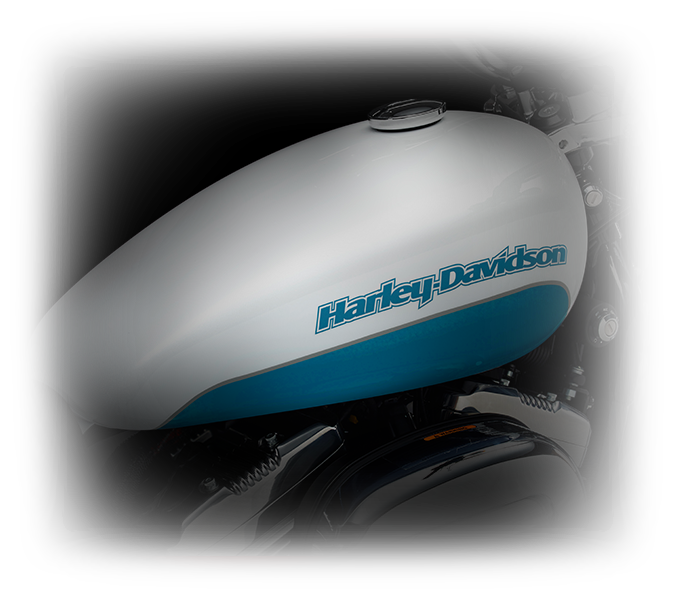 Evolution® Engine – Building upon the legacy of the legendary Harley-Davidson Shovelhead and Ironhead engines, the Evolution® employs the latest motor tech to deliver superior ride quality with plenty of muscle. 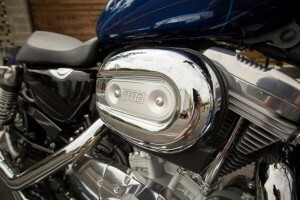 Innovation – Dependable electronic fuel injection improves performance and reduces routine maintenance, while rubber-mounting helps eliminate vibrations, and the aluminum cylinders and heads help to keep the bike light while maximizing the efficiency of the air-cooling system. 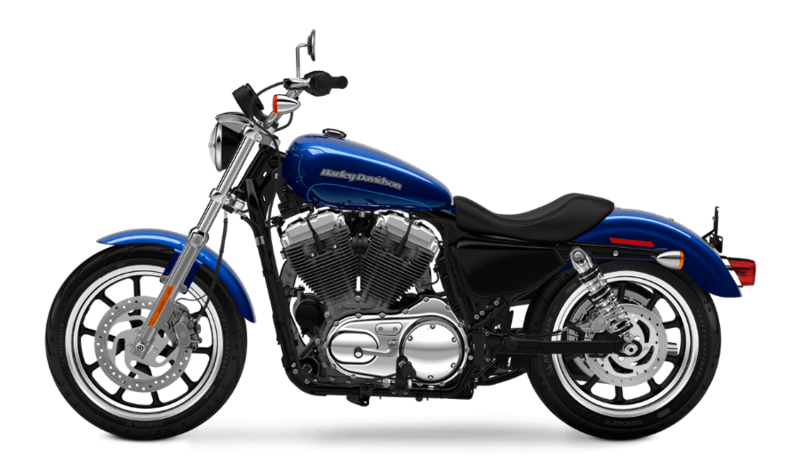 The SuperLow® riding experience is enhanced by the inclusion of a number of advanced tech features that are seamlessly woven into the overall design while delivering the comfort and control Los Angeles and Inland Empire riders want. 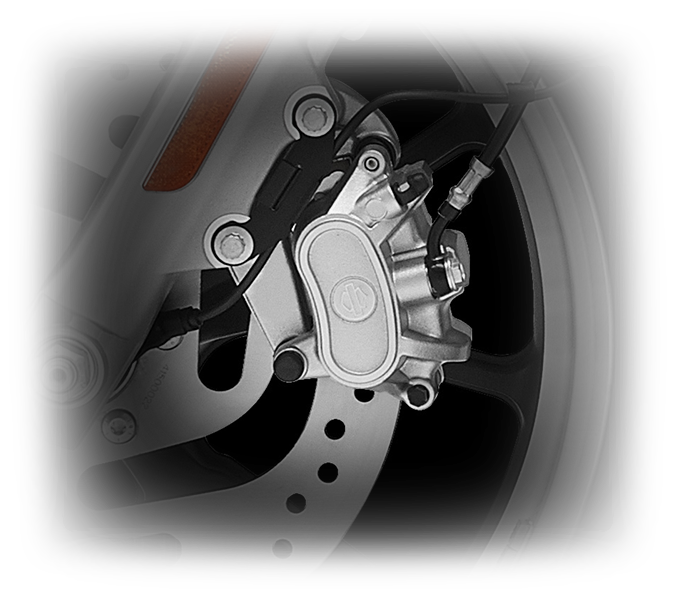 Foundation Brake System – The standard Foundation Brake system features large 300mm rotors and a beefy front caliper with 34mm pistons designed to provide superior stopping capability. 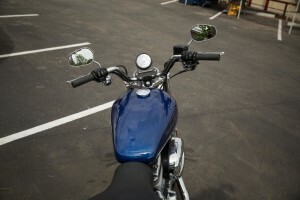 Ergonomic Hand Controls – The ergonomic handlebars, pegs, and hand controls allow you to sit comfortably and confidently in the saddle at any speed. 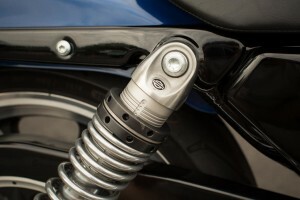 The brake levers are easy to reach, and smart features like self-canceling turn signals and convenient trip and “start” switches improve the quality of your riding experience. 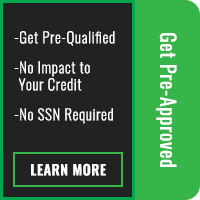 Integrated Electrical System – An integrated electrical system concealing all the bulky wiring, fuses, and switches, gives the SuperLow® an uncluttered, sleek, and clean look. 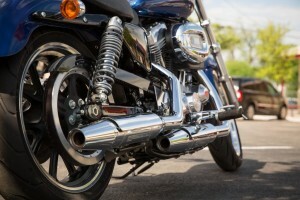 Closed Loop Exhaust System – The robust closed loop exhaust system includes big dual mufflers with exhaust shields, as well as a catalyst and mini heated oxygen sensors that reduce harmful emissions and enhance ride quality. Tach and Gear Indicator Readout – The speedometer features both a gear indicator readout and tachometer easily activated by the trip switch. 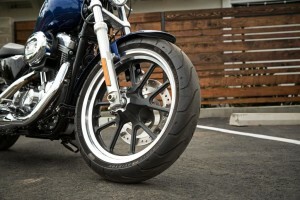 Optional ABS – Anti-lock brakes are an available option if you’re looking for extra confidence and control in all riding conditions. 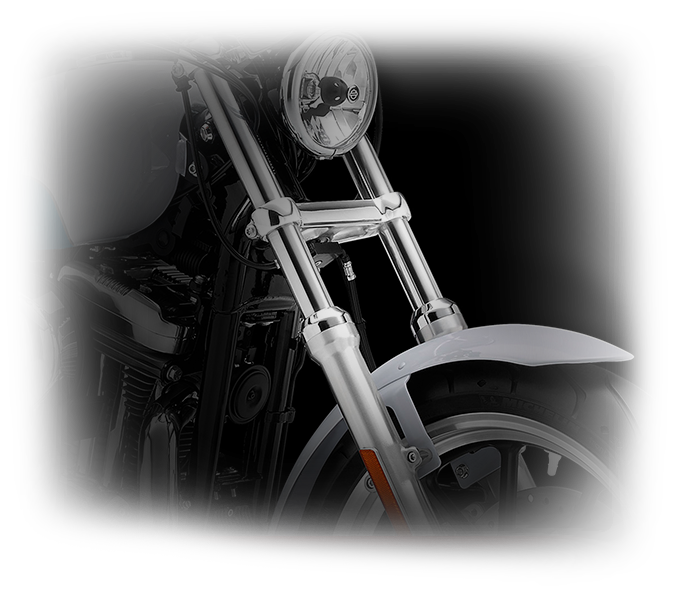 Optional Security System – With the H-D® Smart Security System factory-installed, you get a hands-free fob that automatically activates and deactivates the security system as you leave or return to your bike. 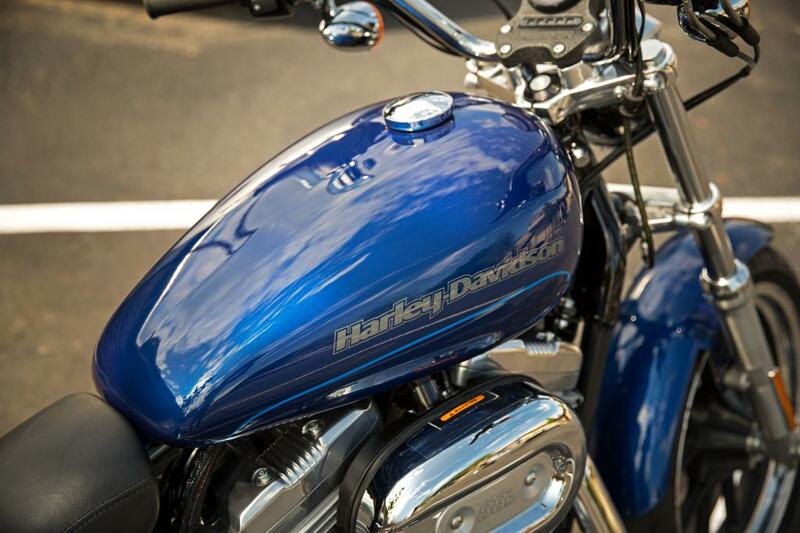 Premium styling and iconic Harley-Davidson design make the SuperLow® a bike that looks as good as it rides. This is a bike that will turn heads whether it’s parked at the curb or racing down the road. 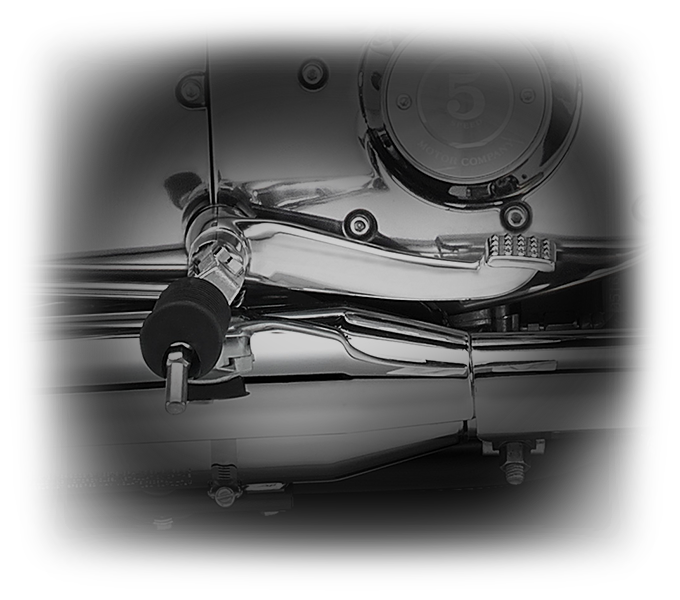 Teardrop Fuel Tank – An iconic teardrop fuel tank with distinct badging lends the SuperLow® a touch of unmistakably classic style. 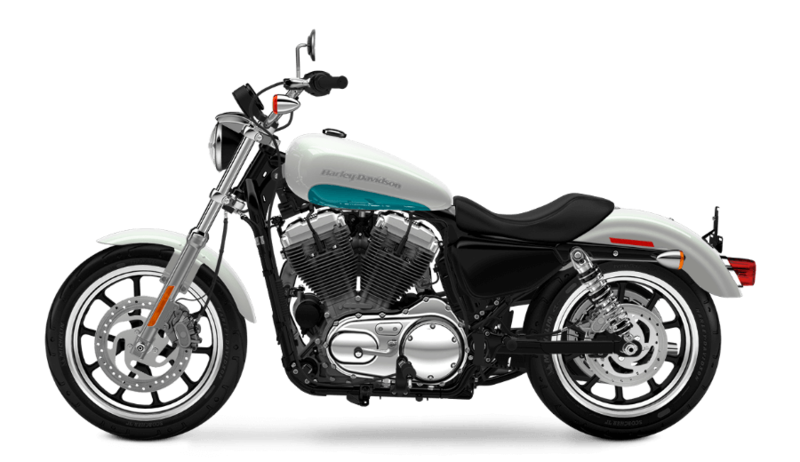 The tank has a generous 4.5 gallon capacity and has a sleek and slender design that looks great riding upon the iconic V-Twin engine. 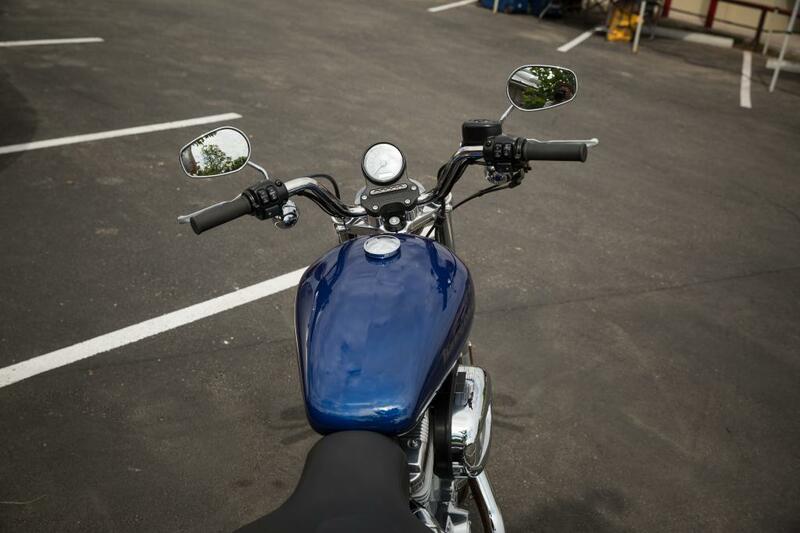 Unparalleled Style – With its narrow frame, ample chrome, premium paint, tough steel parts, and one-piece crankcase/transmission, you get a bike that displays a classic profile that is both compact and dynamic. 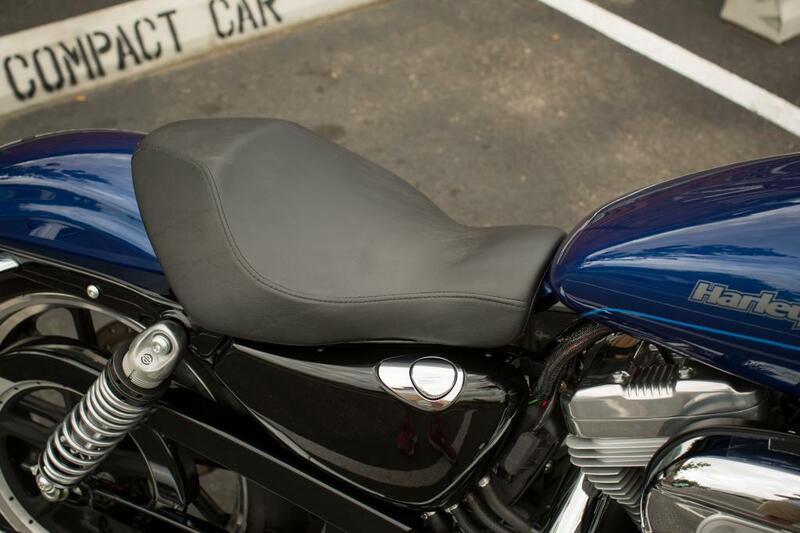 Engineered to provide a smooth ride and easy handling, the SuperLow® employs a mix of advanced tech and smart design for a satisfying and confident experience as you throw your leg over the saddle. Advanced Front End Geometry – New advanced front end geometry with lightweight front forks and triple clamps works in concert with the 18-inch front wheel to give you confident and easy handling. 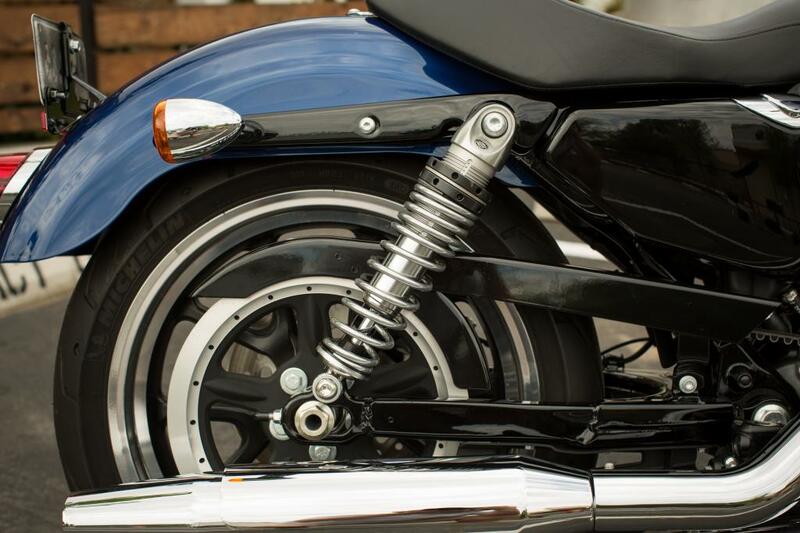 Final Drive Ratio – Quick and easy acceleration, plus smooth and steady handling are provided by the final drive ratio on the SuperLow®. 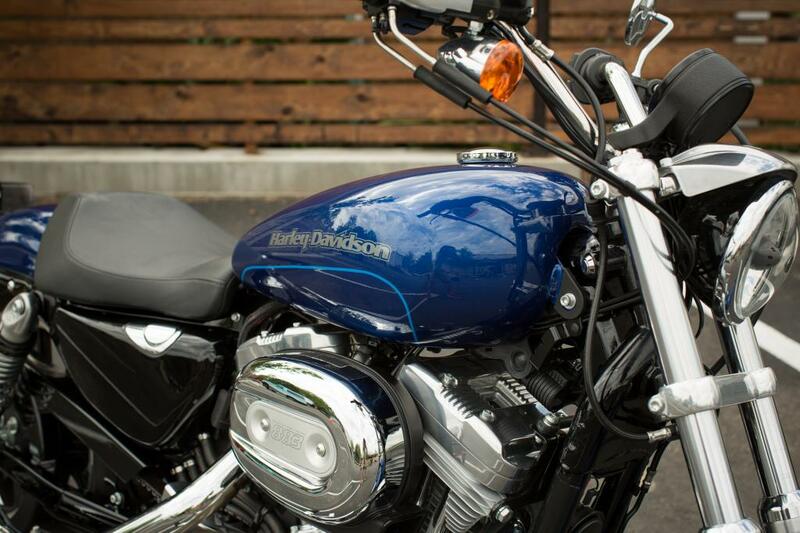 It’s a bike that will inspire confidence, especially for beginning riders. 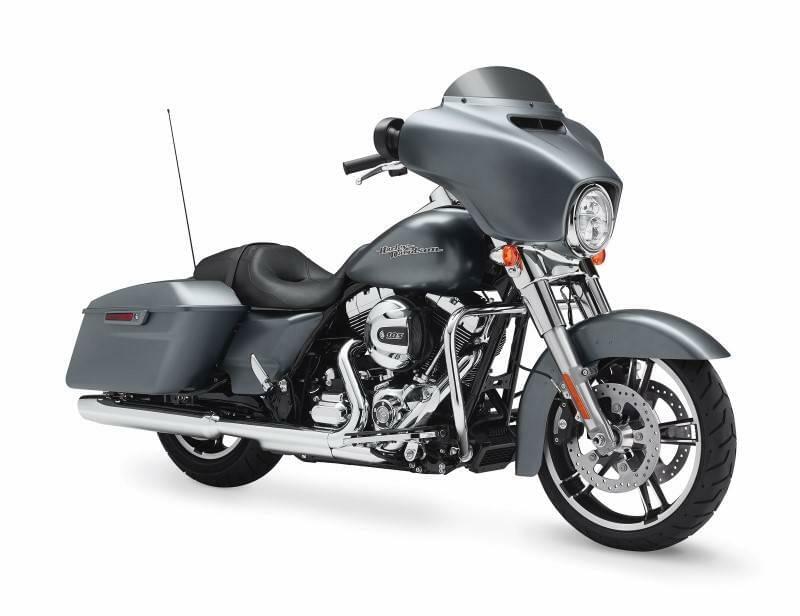 Enhanced Low Speed Maneuverability – The lightweight black cast 5-spoke wheels – 18-inch up front and 17-inch in the rear – combine with the reliable radial tires to deliver sure handling whether turning or cruising at low speeds. 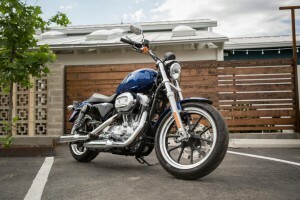 Cockpit Comfort – Ergonomically designed with handlebars that are easy to reach, a long travel rear suspension, and a low bucket seat, the SuperLow® is a bike that allows you to settle comfortably into the cockpit and enjoy the ride. Low Seat Height – With a seat height of 25.5 inches and a sleek, narrow frame, you get a superbly nimble ride at all speeds. 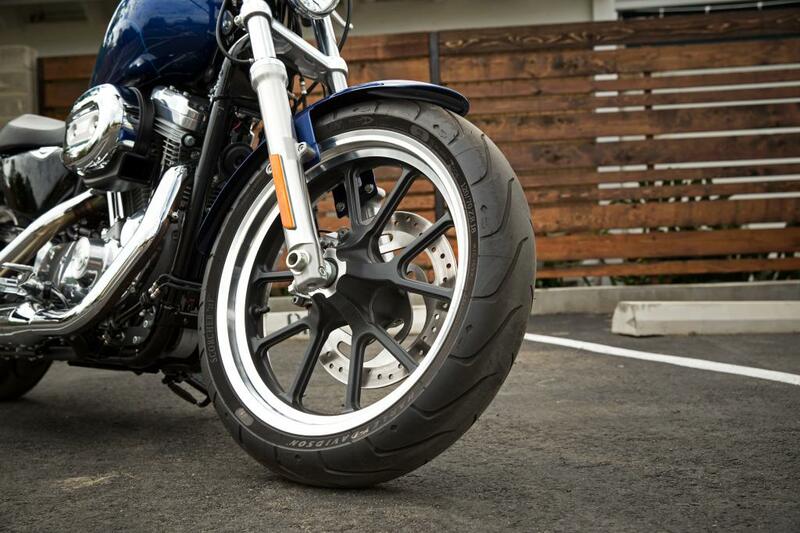 Michelin® Scorcher™ Tires – Deep cut tread gives you the maximum grip and sure handling you expect on a race-inspired bike. 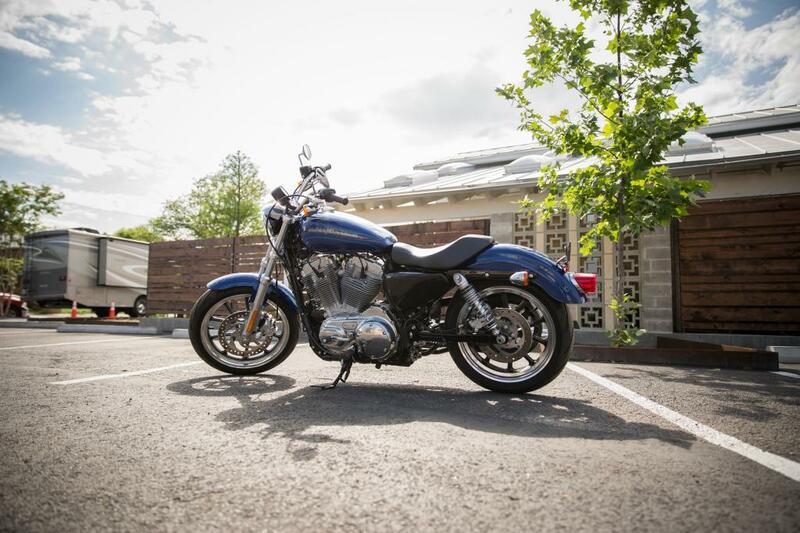 Comfort inspires confidence, and the SuperLow® is a bike that lets you settle into the saddle for a thoroughly satisfying riding experience. New Suspension – The new suspension system comes with front end cartridge damping and adjustable cartridge emulsion rear shocks. 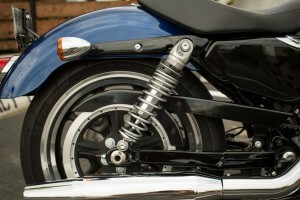 A wrench is provided inside the seat so you can easily set the suspension whenever and wherever you want. Low Seat, Plus Extra Comfort – The low seat height gives the bike a low center of gravity which helps to provide easy handling. The seat itself contains extra foam without taking anything away from the overall styling. Mid-Mounted Controls – The convenient mid-mounted controls let you sit back in a comfortable rider triangle with all of the confidence and control you need.